Net Neutrality comes from the idea that all information on the Internet is treated equally. This means that the government and Internet Service Providers (Time Warner Cable, Comcast and AT&T for example) cannot discriminate by user, content, website platform, application, etc. This is why weekend bloggers can compete with giant media conglomerates like CNN, Fox News or The New York Times. Net Neutrality is the reason that the “American Dream” exists online. All of us have a fighting chance because we are afforded equal access to the Internet. Net Neutrality is the guiding principle that preserves the free and open Internet. Is This the End of the Internet as We Know It? Everything sounds good, right? It does, but that may be changing. Those big cable and telephone companies mentioned above would love to charge for tiered Internet service, and they might get to. The Federal Communications Commission is considering a new law that allows Internet Service Providers (ISPs) to charge third-party web services ( for a faster path to consumers. Imagine being stuck in the slow lane while huge, corporate semis race by in the fast lane. Your ISP is now able to charge companies for access to “fast lanes.” This ensures that preferred content and applications load faster and more efficiently while their competitors lag behind. Here’s an example. Netflix can now pay ISPs to be a preferred provider and ensure that its content always loads quickly and streams without any interruption. This essentially creates the “haves” and “have-nots” of the Internet. Guess who is going to incur that cost? That’s right. It’ll eventually fall on the shoulders of consumers. Now imagine all of the websites you access on a daily basis. 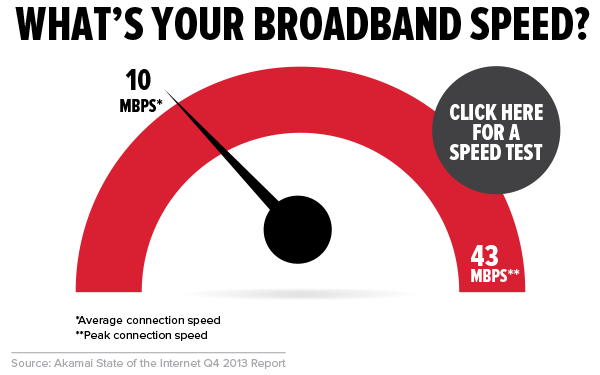 Would any of these websites benefit from increased Internet speed? Membership or access costs would likely increase for consumers. Additionally, it may become more difficult to view websites and content controlled by companies that cannot afford access to these fast lanes since there’s only so much bandwidth to go around. This can also create consumer confusion. Video may load extremely quickly on one website, while seemingly identical content slowly buffers on another. 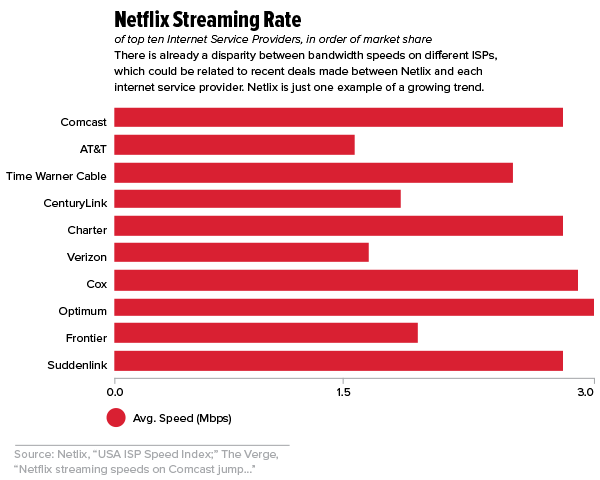 With several large Internet providers likely charging popular websites for faster Internet speed, the Internet landscape could become further fragmented. Over time, consumers are likely to continually visit websites that load quickly and reliably. This could become very problematic for small businesses. What’s also concerning are the negative effects that this ruling could have on small business and innovation. Large companies are in position to further monopolize their market dominance. Small businesses simply won’t have the budget to pay for fast lane access to consumers. This puts businesses at a further disadvantage when it comes to Internet marketing. Innovation is also curbed because tech startups will never have a puncher’s chance in reaching enough consumers to get their business off the ground. RevLocal RevLocal proud to be named to the Fast 50 List!